Hour long documentary produced by Prairie Public Television, Fargo, North Dakota, Copyright 2008. The prairie is dotted with unique and picturesque churches, many of which are in danger of being lost forever. Prairie Public's hour-long documentary, Prairie Churches, preserves images of this priceless heritage. Often the first community structure to be built, these spiritual landmarks represent the hopes and dreams of settlers who sought to forge a new future for themselves and their children. 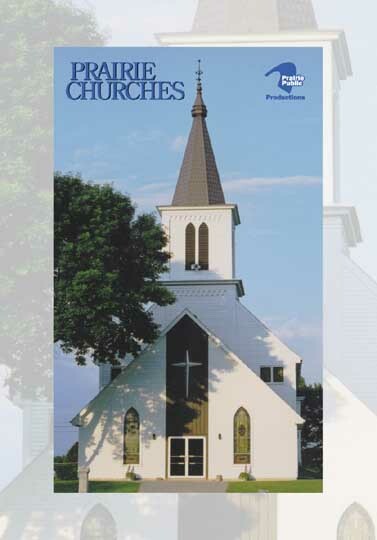 Prairie Churches provides a fascinating, emotional, and informative look into these monuments of faith, exploring the role churches have in sustaining the history and culture of the vanishing rural landscape. The program, produced in high definition throughout the four seasons in Manitoba, Saskatchewan, North Dakota, and Minnesota, takes a breathtaking visual tour of 117 outstanding churches scattered across the prairies. Count Berthold Imhoff, Artist provides a fascinating look at the aristocratic artist who devoted his life to painting the churches of fellow immigrants throughout Saskatchewan and the Dakotas. This biography of the idealistic artist is adorned with images from 18 churches where many of his masterpieces survive intact today. 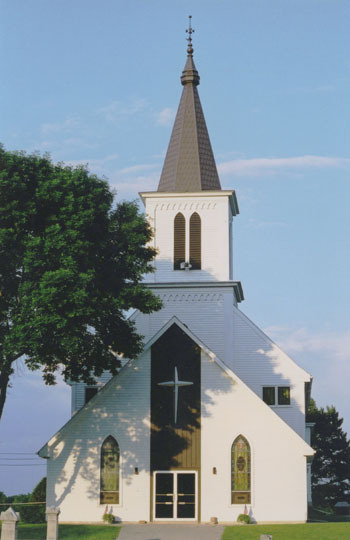 Production funding for Prairie Churches provided by the North Dakota Council on the Arts, J.M. Kaplan Fund, North Dakota Humanities Council, the Winnipeg Foundation, and by the members of Prairie Public. Hebron, Karlsruhe, Richardton, Glen Ullin, Gackle, Strasburg, Hague, Linton (North Dakota); Hoven (South Dakota; and Muenster. St. Walburg, Reward, and Muenster (Saskatchewan). Count Berthold John von Imhoff, St. Walburg, Saskatchewan, the well known German artist of church paintings, is featured in the documentary. For information about Imhoff, go to www.ucalgary.ca/~dsucha/imhoff.html and the Imhoff Gallery/Museum - www.imhoffgallery.com.